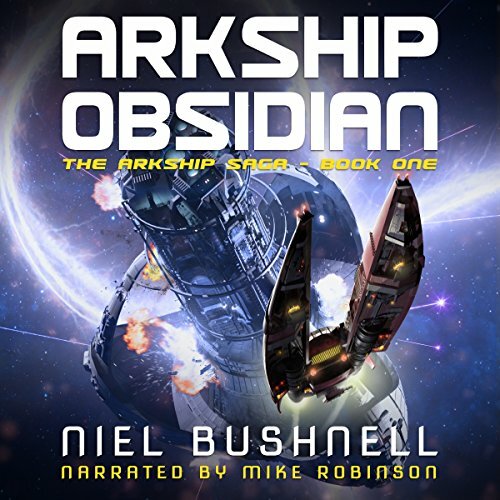 Arkship Obsidian is the first in an epic new series from acclaimed British writer Niel Bushnell. I like it, but the writing is jilted and there’s no expression in the way people react it’s just bland monologue a lot of the time. The narrator was a bad choice, has no inflection of emotion. Is too focused on the annunciation of each word so there’s odd pauses and a bit monotone. 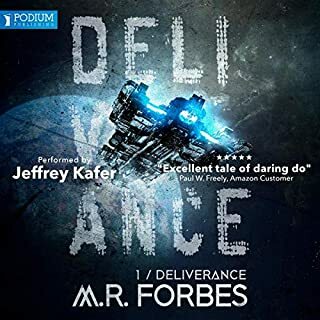 Still enjoyed it despite that, wouldn’t listen to it a second time unless it had a decent narrator like Luke Daniels or someone else. 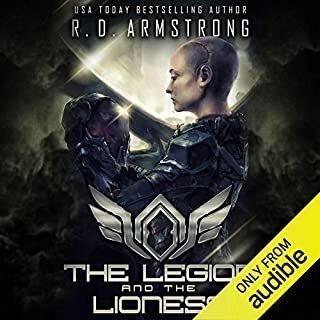 The last full sci-fi book series that I read was We are Legion: We are Bob. 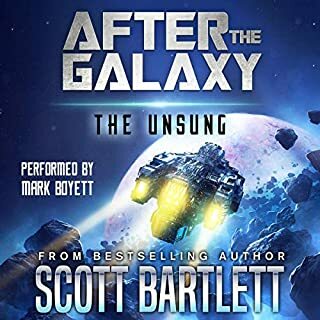 So, you can see my bar was raised really high for a new sci-fi series to start with, and Arkship didn't disappoint me. 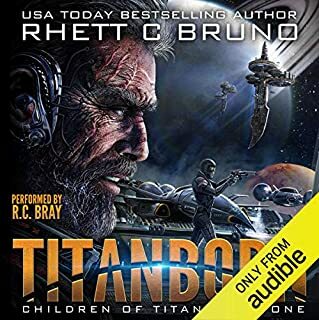 Bushnell does a great job creating a setting in which Earth is gone, and the remains of humanity cling precariously to life in large interplanetary vessels. As always happens, humanity is not satisfied to have survived complete annihilation, but sets about becoming insular and aggressive to other survivors. Bushnell has a punchy writing style, that comes at you like a comet. His cdharacterizations are intense. I would swear that I have met some of his characters. Robinson is outstanding here too. He keeps pace with the story, and his voice won't let you go when things are happening. The only criticism I have, and it is a small one, is that I think he needs to work a little more on female voices. Jeff Hays and James Marsters, for example, do incredible jobs with their feminine voice characterizations. I think with a little more work he could be a mjor player as a narrator. That isn't tosay the rest of his work suffers, or that his vocalizations suffer. That is not the case. The story still flows well with what he does, and I am only nitpicking. I think Bushnell and Robinson make a great pair. They go together like puzzle pieces, each one locking the other in, and keeping the story flowing. Once I got started I didn't want to stop (darn you real life! ); the story is really good and you will assuredly want to listen to the next one as soon as you can. Happily, there is a sequel coming, so take heart and get ready to hit this rollercoaster again. When I was younger I didn’t’ want to read because there where so many other things to do. Eventually I found an author who actually captured me and I loved to read her books. I still have them because they remind me that even someone who doesn’t like to read can eventually find something that will get them into it. While this is quite a bit different from those stories, this really brought back the feeling of reading one of those books. 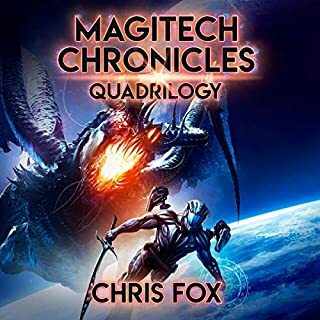 Not something anybody else would be expected to share in, but just a note as to why I really enjoyed this story and want to continue on with the saga. Hopefully this will inspire you as well. This definitely has a Dune feeling without some of the weird and confusing aspects or Sting. 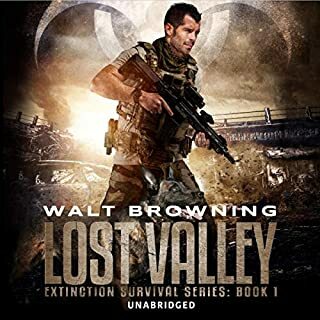 If you enjoyed that book or watching shows like BSG this story is right up your ally. I really felt that the characters were the focus of the story and I think that connection I felt with Wyyn and Berra sold me on it. Even the antagonist, who I also enjoyed, was someone I understood. These characters are in the typical scifi space environment but they are quite well developed and ones you want to follow. I felt the plot was simple and fairly recognizable, but not a bad thing. The overall mystery was easy to figure out, how it played out was a fun ride and worth it. This shows you a world where space is the final frontier and you belong or don’t. Factions exist and you are either in or out and trust is something everyone needs to be evaluated on. Mike Robinson did a great job. Again this story touched me in the right spot and I know Robinson was helpful in that. My internal voice is awful, so I was happy to have Robinson narrate and fill my head with his. I really hope he is the narrator for the rest of the series. 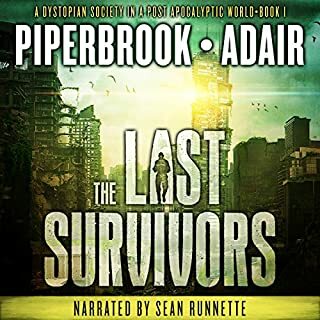 I was given this audiobook for free in exchange for a honest review. 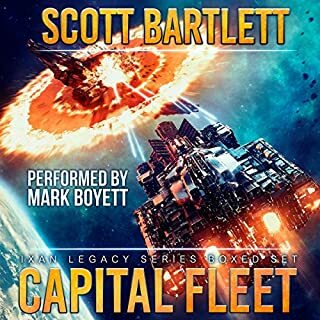 I was looking for a new sci fi listen, I listen to a lot of Star Wars/ Star Trek. Arkship Obsidian filled my need for new sci fi. Good characters; plenty of action. Mike Robinson did a great job as well. Production quality excellent. This book is amazing, it did something that no other book have done to me before, by this I mean that from page one I was hooked, I couldn't stop listening and I want more, it's such an excellent story, I can't wait for the next one to get released. I really praise the author, even my favorites books took a few chapters to pull me in, this is a first for me a real masterpiece! I fully recommend this book, trust me you won't regret it what so ever. Another world unlike we know. Earth is no longer around and a whole new civilization rules. Like all civilizations, there are ups and downs, good vs evil and this novel has it all. 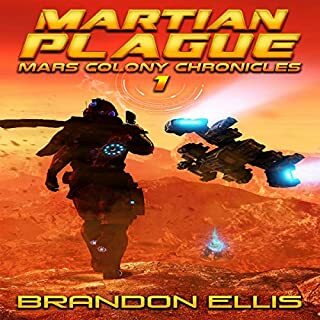 Am not a biggie of Sci-Fi but this one held my attention and the ending had me wanting more. 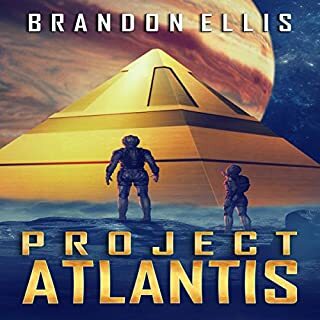 The author did a great job writing this story, you could picture everything he wrote, the narrator did a fabulous job with the telling and am sure the author will use him when book 2 comes out. This book starts out with the main character not knowing what is happening or who he is. It proceeds with him being rescued and taken to what they think is a safe haven but it turns out to have been compromised and they have to flee again. Throughout the book the two characters are running from someone. The main plot is of a system where mankind resides on large arkships after the destruction of the solar system. Several families make up the humans and one of them is trying to conquer the others. Overall is a Church that tries to keep the families from destroying each other; but one of their members has his own agenda and tries to provoke a war between families. The book is well written and fast paced. The action is good and the characters well written. The narration is superb and well done and understandable. The multiple voices are great. 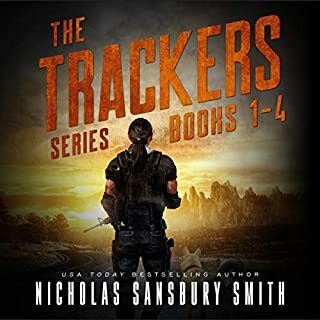 I enjoyed the book and look forward to the next book to continue the series. Arkship Obsidian is for fans of Science Fiction/Fantasy. The writing is good and above the level you might expect. Mike Robinson the narrator brings the package together with his fine reading of the story. 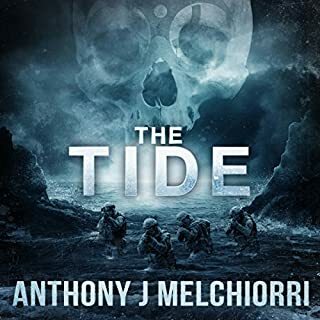 A fast paced story you will need to focus on. 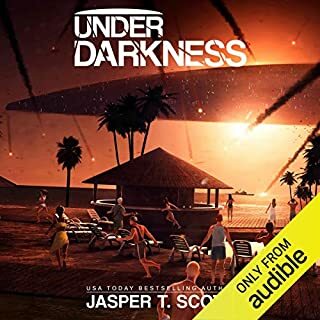 I received this audio book for free in exchange for my honest review. This is a very well written story with excellent narration. I loved it and you will too. You wake up without your memories in the aftermath of a battle. That's what happened to the main character. He was so relateable that I wanted to follow his story and kept listening to the book until I was finished. 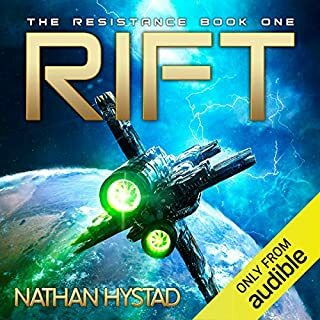 I love to listen to books while I'm at the gym and I stayed a lot longer than I planned just so I could keep listening to the book. The story flowed really well and the narration was amazing and kept a perfect pace. I really want to listen to the next book and I hope the narrator stays the say because I thoroughly enjoyed him. 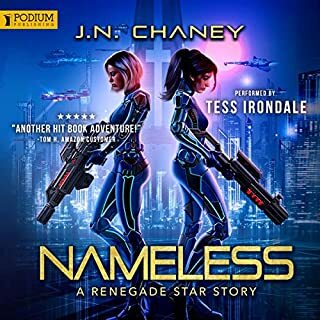 This is a great listen if you enjoy Sci-fi. 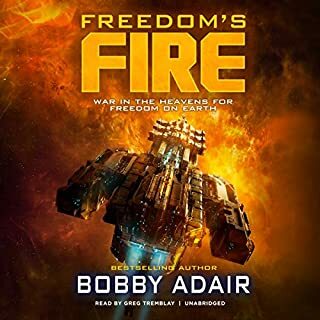 Arkship Obsidian is a very good book. I was captivated with the story from the very beginning and it held my attention clear to the end. Actually, I was disappointed that it did end...I wasn't ready to move on. I loved the fantastic descriptions of the ships, how they worked and, especially the 'ship's' personality. Lexicon has a very entertaining personality. I enjoyed the story of each character and was saddened when some didn't make it. I would have liked to have more background on what happened to Earth and the other planets. I felt that was the only thing missing...hopefully, those explanations will come with the other books in the Saga. Mike Robinson does a very good job of narrating the story. His way of speaking, the rise and fall of the narration, has a good flow. His character voices are right on, in my opinion, of their personalities. I am always impressed when a narrator is able to do that. The classic sci-fi you've been looking for! If you're looking for heart stopping action full of intrigue and mystery, then look no further. 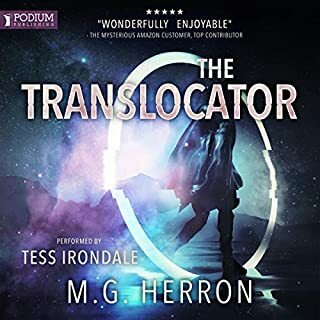 The book throws back to classic sci-fi adventure in the best way it possibly could, with quirky characters, explosive set pieces and a plot that sinks it's teeth into you and won't let go. 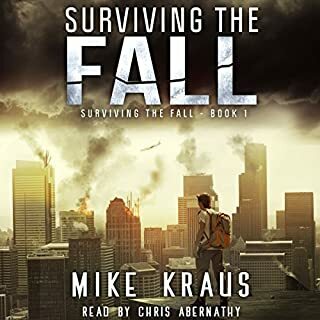 The audiobook version was read clearly and gave each character their own unique sound, despite it only being the voice of one man, Mike Robinson.